There are a variety of capture settings you can change so your video, audio, and screenshots are just the way you want them for gaming. At the top of the Captures screen will show the folder location of where screenshots and game clips are automatically stored. You can quickly access that location, by pressing the Open folder button. 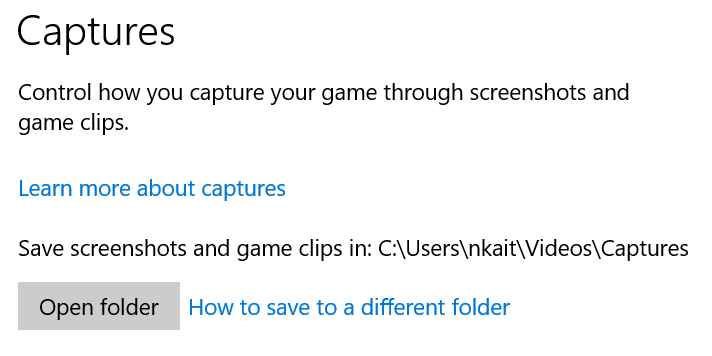 To change where your game clips are saved, use File Explorer to move the Captures folder anywhere you want on your PC. Windows will continue to save your game clips and screenshots in that folder (wherever you put it). Background recording is for capturing something awesome that just happened in a game. When you turn it on (it’s off by default), it monitors the last few moments of gameplay, so you can capture the moment before it’s gone forever. Background recording can affect your game’s performance because it uses some of your PC’s resources. How long a clip will be, using Record the last selection box. Select the box, then choose a duration. Whether background recording will run while you’re using battery power (background recording uses more power). Whether background recording will run while you’re using a wireless display (background recording uses more resources from your graphics card). Set the maximum recording time for a clip so that it saves automatically when it reaches that length. Select the Record this box, then choose a duration. Record game play with or without sounds from your game and your microphone, and choose the audio quality. To record game sounds with your game clips, turn on Record audio when I record a game. To choose a different audio quality than the default, select the Audio quality box and choose one of the options. 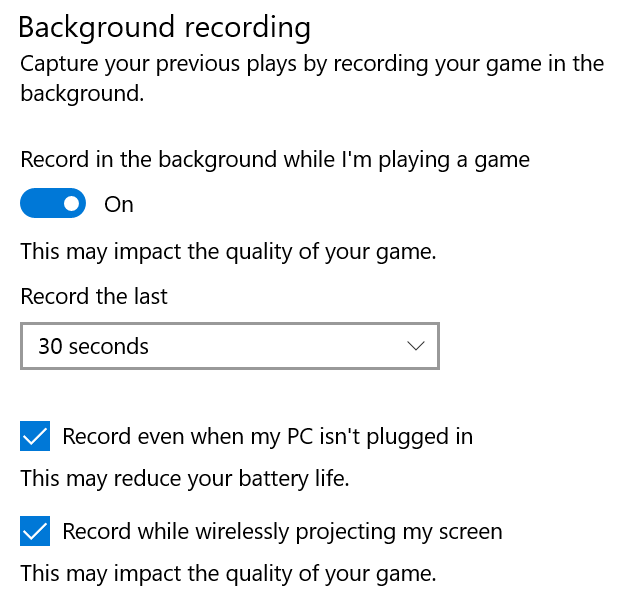 To record through your microphone, turn on Record audio when I record a game. Recorded video lets you choose the frame rate and video quality of your game clips. Video quality controls both resolution and bit rate (Mbps, or megabits per second). Higher quality and frame rate generally requires the PC to work harder, which may decrease performance. You can determine the best settings for your system by trying them out. To open Game bar settings, press the Windows logo key + G, then select Game bar settings. Game bar has some settings that are also in Windows Settings—changing a setting in either location will affect the setting in the other. In Game bar settings, enable game captures by selecting the Record in the background while I’m playing a game check box. This setting can also be changed in Windows Settings > Gaming > Captures. Game only. 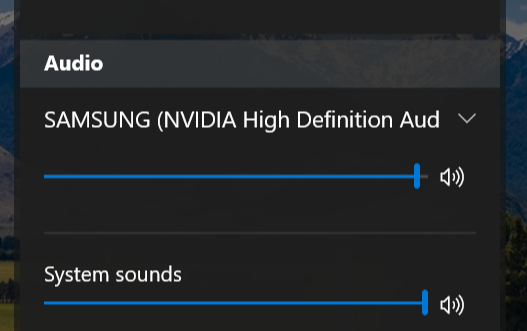 This option is for capturing game audio only. All. This option lets you record all sounds during a capture, such as your mic, background music, and system sounds. None. This option blocks out all game and system audio but can still record your mic. Tip Make volume adjustments directly from Game bar. Would you like to contact Support regarding the "Adjust capture settings on Windows 10" issue you were reading about or a different issue?